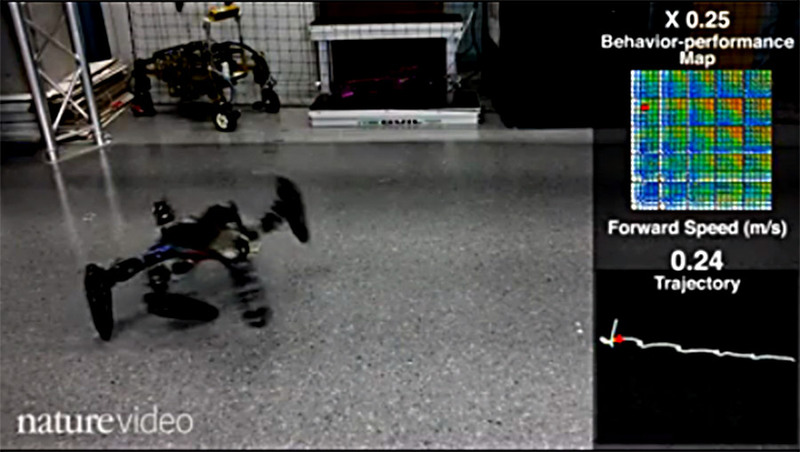 Injured Robot Learns New Gaits! Watch this modified PhantomX Hexapod get brutalized by scientists, adapt, and get back up and moving in no time! This is an amazing example of clever programming allowing a robot to adapt like an animal. There is an obvious advantage in field use for robots with the ability to respond intelligently to injury, and this is a wonderful specimen to pay attention to.